SW7 is a powerful commercial steam cleaner with a huge 7 bars of steam pressure. 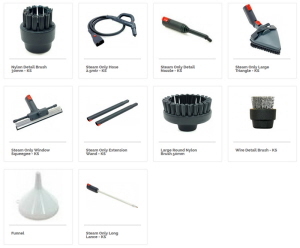 It has the ability to inject hot water to wash away stubborn grease and grime with ease. 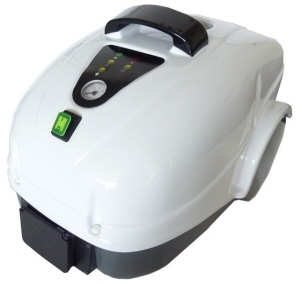 It is a perfect cleaning machine for commercial uses including hospitals, aged care facilities, hotels, motels, cafes, restaurants, contract cleaners and more. It is also an effective tool for cleaning at home. The SW7 is powered by high temperature steam which cleans deep below the surface to lift stubborn dirt and grime like other cleaners can’t. It can clean a huge variety of everyday surfaces including a large range of floor types, walls, windows, curtains, mattresses upholstery, kitchens and steam cleaning bathrooms. 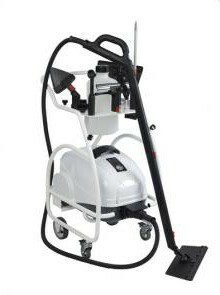 The SW7 is supplied with a great range of attachments to cover a huge range of cleaning applications. It comes complete with a detail nozzle, window squeegee and a variety of brushes. Optional accessories include the floor mop head.